Romania is one of the few EU countries that allows independent candidates to participate in the European elections. However, the electoral rules are so restrictive that few candidates manage to actually get on the lists and even fewer stand a chance of actually getting elected. 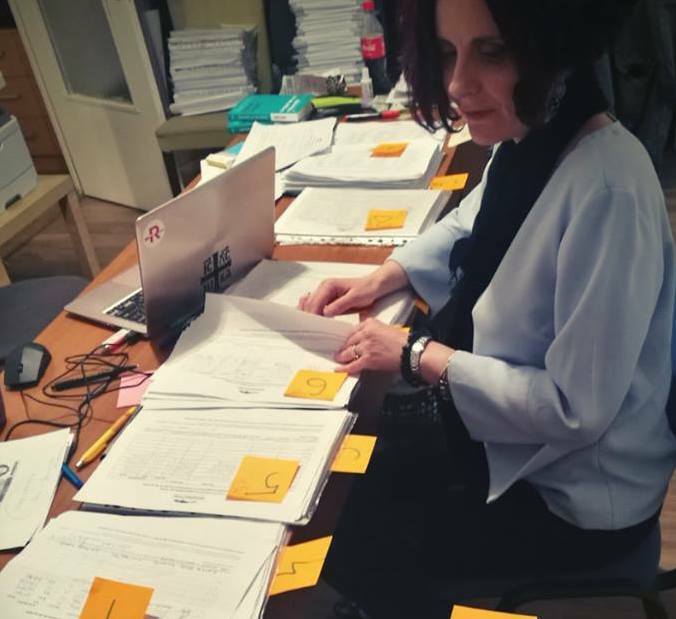 Madalina Turza, a Romanian woman who runs an NGO for people with disabilities, managed to raise over 100,000 signatures for running as an independent in the elections for the European Parliament. The mother of a girl with Down syndrome, she wanted to get to Brussels to represent Romanian with disabilities, one of the most vulnerable social categories in the country. However, her dream of participating in the elections was shattered as the Central Electoral Bureau (BEC) invalidated some of the signatures she submitted together with her candidacy file, due to various technicalities, Recorder.ro reported. This case shows the inequalities in Romania’s electoral system, where independent candidates or those representing small or new parties have difficulties in participating in the elections. Although Romania is one of only seven EU 28 countries allowing independent candidates to run in the European elections, the rules are so restrictive that very few manage to get on the lists. The Romanian law requires independent candidates to gather over 100,000 signatures to have their candidacy requests accepted by the Central Electoral Bureau. By comparison, political parties have to present 200,000 signatures. Other countries that allow independent candidates have much lower requirements. For example, Bulgaria only asks 10,000 signatures from independent candidates while in Ireland candidates need 60 signatures and in Malta – 4, according to this study by the European Parliament. Despite these restrictive requirements, a record number of seven candidates will run in this year’s European elections in Romania, according to data from the Central Electoral Bureau. By comparison, in 2009 Romania had only 2 independent candidates and in 2014 there was only 1. The chances of an independent candidate getting elected are even lower because an independent candidate must get a minimum of 5% of the valid votes, similarly to political parties. Considering that there are close to 19 million registered voters in Romania and the turnout in the previous European elections was around 30% (some 6 million voters), an independent candidate must get a minimum of 300,000 votes to represent Romania in the European Parliament. Even so, Romania has had one independent MEP in every election. In 2007, Hungarian pastor Laszlo Tokes won an MEP mandate as an independent. In 2009, Elena Basescu, the daughter of former president Traian Basescu, was also elected as an independent, but with significant support from the ruling party at that time – the Liberal Democrat Party (PDL). In 2014, actor Mircea Diaconu was elected as an independent MEP with a score of 6.81%. However, Diaconu also benefited from significant media support, especially from Antena 3 news channel.